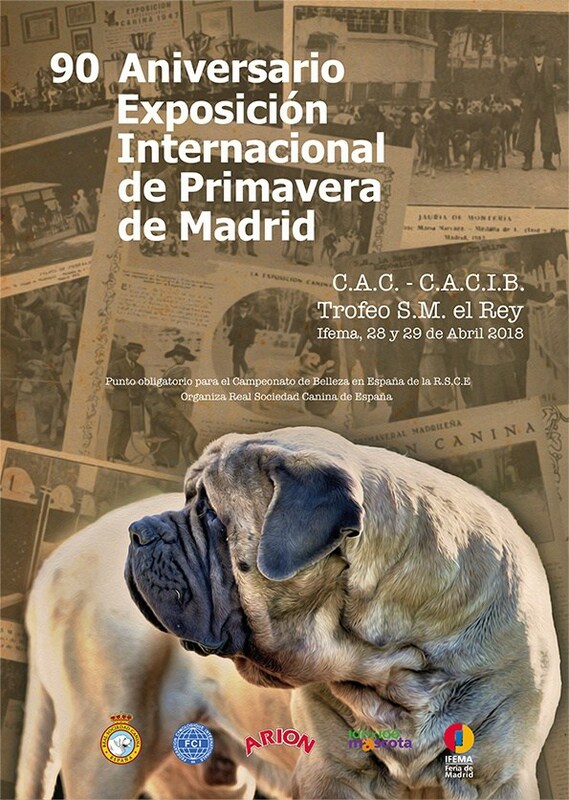 Very happy with the results of the weekend, specially with the 3rd place place in Breeding Lots of the Group 2 in the 90 International Dog Show of Spring of the RSCE. Judge by the international judge Cristian Stefanescu (Romania). - Tabernero de Las Tinieblas EXC 1 CAC. Male open class. - Linde de Las Tinieblas EXC 2. Young male class. - Argán de Las Tinieblas EXC 3. Young male class. - Diablo de Las Tinieblas EXC 4. Young male class. - Lana de Las Tinieblas EXC 4. Young female class. - Abril de Las Tinieblas EXC 1 CCJ. Young female class. - Alana de Las Tinieblas MB. Young female class. - Tabernero de Las Tinieblas EXC 1 CAC. Young male open class. - Linde de Las Tinieblas EXC 1 CCJ y Best Young Male. - Achín de Las Tinieblas EXC 4. Young male class. - Lana de Las Tinieblas EXC 4. Female open class.